Only four days late on this workout log for week two... I find it harder to write recaps about training right now since it's weight lifting focused, and there's not much I can say that's interesting there. Still, I like to keep a record here, so I'm going to keep them up until the end of July when I start marathon training. The Resources page also has a link to my Pinterest page. 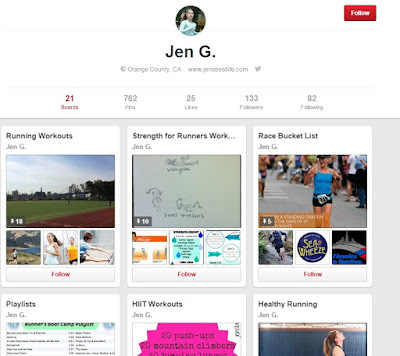 A few weeks ago I cleaned it up and have been pinning every good running-related article I've read recently, with boards being categorized into things like "Running Workouts", "Strength for Runners", "Playlists", "Healthy Running", etc. There are also, of course, the normal boards for recipes and cookies and such. Figured I'd point it out to those of you who just can't get enough reading about running! Might be helpful. If you recall, I mentioned that part of the reason I didn't want to run RnR San Diego was because my legs were feeling like total lead in the weeks leading up to the race, and I couldn't hold any speed whatsoever. I read this Outside Magazine article on overtraining this week, and while I don't think it's exactly what happened (since I peaked in the mid-30s mileage-wise), I think the stress of personal and work things on top of training led to a similar effect for my body. I also think it's just a valuable article to read since so often in the running world we see people being glorified for more, more, more. More mileage, more marathons, more of everything. One thing that my trainer in Orange County really hammered into me when I trained with her (before she moved to NYC, sniff sniff...) was the importance of rest and recovery. 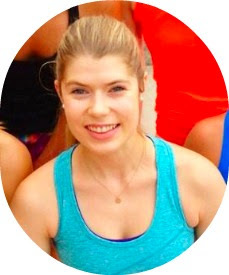 She was a former professional runner, so she was someone who had worked at the highest level of the sport, and she constantly stressed the importance of real rest in order to truly recover. In fact, she said it was even more important for those of us who aren't professionals, and don't have the benefits of very little stress other than training and competing. Ok, on to a recap of last week's strength workouts. I did three out of four of them, and moved the workouts around a bit due to some firm events. 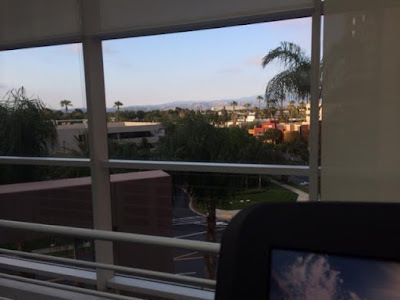 Can't complain about the treadmill view! Cardio: 5 minute w/u; 1 minute sprinting, 1 minute easy for 20 minutes; 5 minute c/d. 3.50 miles total. Weights: Upped the barbell by 5 lbs (from 45 lbs to 50 lbs) and felt good. Cardio: 2 mile progression run on treadmill, increasing speed every 1/2-1/4 mile as I progressed for a fast finish. Weights: Upped all the weights slightly. Chest press still giving me major problems I didn't used to have -- apparently I lost a lot of muscle in my pecs while taking time off from lifting? I was planning to run, but when the second most senior partner in the firm asks you to hit some balls on a driving range because you're on his golf team at that Friday's event, you go. It was supposed to be for the summer associates, but since I was on his team, he ended up spending most of his time giving me pointers. I'd never played golf before, but was able to hit a few decent shots by the end of the hour. Unfortunately, though, the partner wanted to take us all to dinner afterwards, so I wasn't able to fit in the run I'd intended on doing. I mean, I wasn't that bummed, because we went to Taco Asylum, which has really fun and inventive tacos. But it didn't help my running or leaning out goals for the month. Why are tacos so delicious and impossible to say no to? Cardio: 5 minute w/u; 30 seconds sprinting, 30 seconds easy for 20 minutes; 5 minute c/d. 3.54 miles total. Weights: Again, upped the weights from the previous week a bit. I hate around the world lunges. I think because they take so long. Friday: 1 mile "run" + 3 hours of "golf"
Set out to run but it was overcast and humid, my body felt tired, and I'd gotten a late start so running more than a mile meant that I was choosing between washing my hair or not. Since we had a firm event that evening, I decided to opt for cleanliness and only got in a mile. I think I mentioned last week that while I want to maintain a strong base, I also don't want to force myself to run a bunch of runs that are miserable right now. I want to enter marathon training feeling excited to train. Since I knew I was on track for decent mileage for the week, I felt fine cutting it short and just doing a mile-long loop of the area. Spent three hours "golfing" (quotes because I don't golf, so I can't really describe me hitting a golf ball with a club as anything other than a rough approximation of golf) with my firm as part of a summer associate event before eating delicious, delicious tacos at a partner's house. Yes, more tacos. Goddamnit, California, why do you have so much fantastic Mexican food. Although let's be honest, if by some cruel twist of fate I had to choose between having access to amazing Mexican food and losing those pounds for marathon training, I'd choose the Mexican food every time. Saturday was SUCH A GREAT DAY. It was basically nonstop friends, food and being outside for almost the entire day. I met up with Kristina for 8 miles on trails in the Laguna Coast Wilderness Park, which was really fun, and then Sourabh and I drove up to Santa Monica and met up with our friends Leah and Björn for a 7 mile hike up Los Liones Trail in the Pacific Palisades. 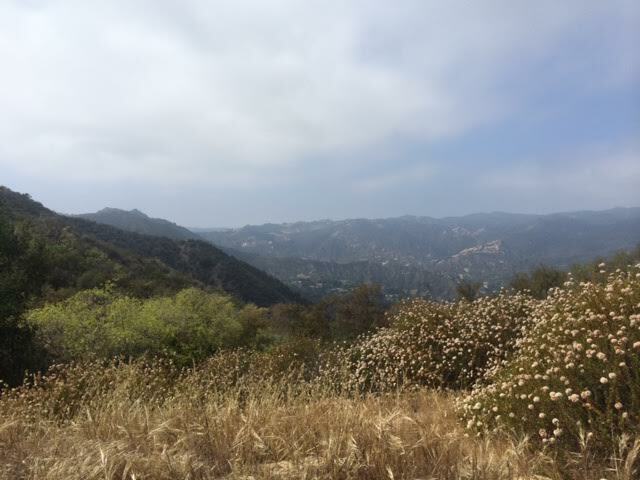 We'd planned an afternoon hike so we would be able to enjoy what are supposedly stunning vistas of Santa Monica and the Malibu coastline, but that damn June Gloom didn't go away until we'd almost gotten back to the trailhead. 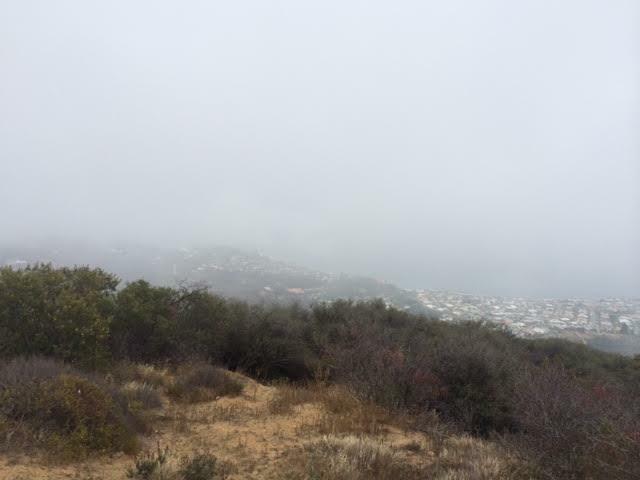 I think it's pretty funny how Californians seem to love June Gloom. "It's so cloudy! I love it!" people in my office have said to me. After 18 years of the Pacific Northwest and then 8 years of the Northeast, I am a total glutton for sun. I'm sure I'll eventually succumb and start loving the two months of cloudy mornings, too, but for now, I am resolute in my love of all things sunny and cannot wait for June Gloom to end. We had a fantastic dinner at Art's Table in Santa Monica (get the Sloppy Fries, which are fries with a fantastic sloppy joe mix and smoked cheddar sauce). We were slightly food shamed by the waitress for ordering so much. She doubted our ability to finish everything we ordered, but we proved her wrong. Then we dealt with 405 traffic to get back to Orange County. It's the worst, guys. Always. For no reason. Every time we go to LA, we spend half the drive talking about how grateful we are not to deal with LA traffic on a regular basis. We spent most of Sunday doing errands, which included buying Sourabh some sandals. Which turned into me buying a pair of Birkenstocks (these) because I need to get serious about foot health and not wear awful shoes with zero support anymore. Now if I could only find a good, work-appropriate flat with support that isn't heinously ugly... Any suggestions? I had planned to do the skipped biceps/triceps lifting workout from Friday on Sunday, but I was having a lot of muscle pain in my neck/shoulders, so I decided an upper body lifting workout wasn't the best idea. Instead, I signed up for Jasyoga to try out their athlete-focused recovery yoga routines. I did about 45 minutes worth, and also used my yoga therapy balls to try to knead out the knots. I highly recommend those balls, especially if you have hamstring issues. When I went to Finish Line Physical Therapy while in NYC in May, the physical therapist said they're one of the most effective ways to get at hamstrings. This video has a good overview of how to use them. I never thought I would want birkenstocks but I have been eyeing them lately. I know, I was the same. Especially coming from Washington, where they seem to be exclusively the realm of hippies. But Birkenstock has come out with some (relatively) cute shoes in the past few years, and they're SO comfortable! Sushi is a close second to tacos in my mind. I was wondering where you went because you didn't post! Anyway, the answer to "tacos?" should never be no. Ever. And you make a really great point that sometimes work affects workouts--and since we aren't professional athletes, we need to be able to adapt. Totally easier said than done though. My trainer said we almost need more rest/recovery focus because we're doing so many things that are BAD for training (ahem, sitting at a desk all day...).